Whether you have been naughty or nice this year, Christmas is coming. Santa and the elves are packing up their gifts for all of the girls and boys around the world and getting ready to make their annual one night pilgrimage to deliver dreams of sugarplums. While they are putting the finishing touches on everything at the North Pole, so am I trying to do the same. 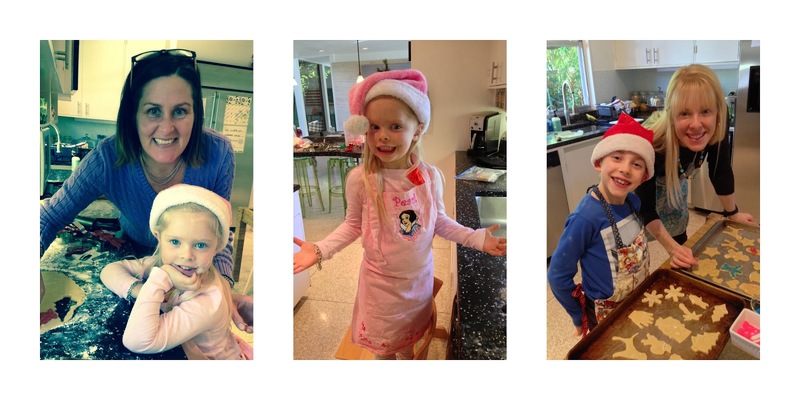 Last year, I began a new holiday tradition of baking sugar cookies with my cousin’s children. Making holiday cookies with my grandmother and great-grandmother was how I got started in the kitchen oh-so-long ago. It obviously made a big impression on me and I am honored to be able to pass this delicious and festive holiday tradition on to a new generation of cookie makers. Sugar cookies (and forgotten cookies) were the last cookies we made when we were on our holiday baking extravaganza which lasted from Thanksgiving weekend right up until two days before Christmas. My grandmother and great-grandmother had an amazing collection of cookie cutters, which are now mine, and this wide variety of cutters (more than 150) makes the event even that much more fun. 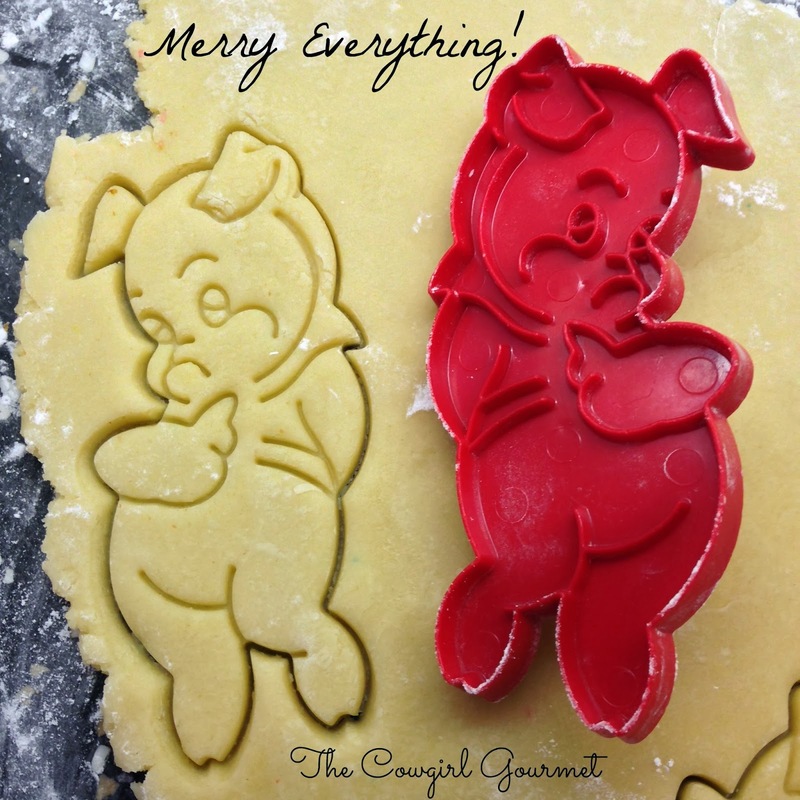 A pig cookie for Christmas, why not? My cousins children are at the perfect ages–7 and 4. Creative and curious, these kids are ready for action. 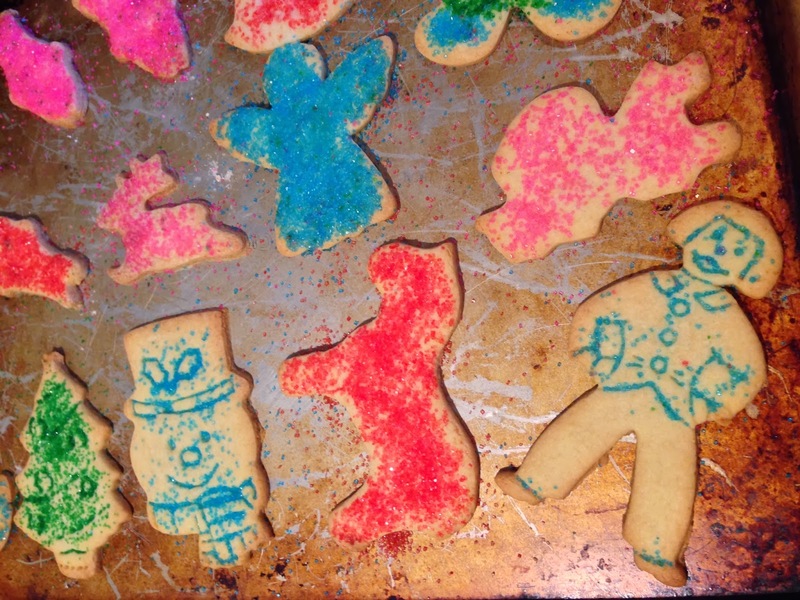 I arrive with the dough and a big container of many, many cookie cutters, lots of colored sugar and we get to work. Rolling, cutting, decorating and baking. And then plenty of eating cookies…or rather quality control. Forgive me if I tell them that “Santa leaves the best presents for the children who leave him the best cookies,” but it’s what I believe to be true. Naturally, they want to leave Santa the very best and tastiest cookies now and I take great pride in that reality. 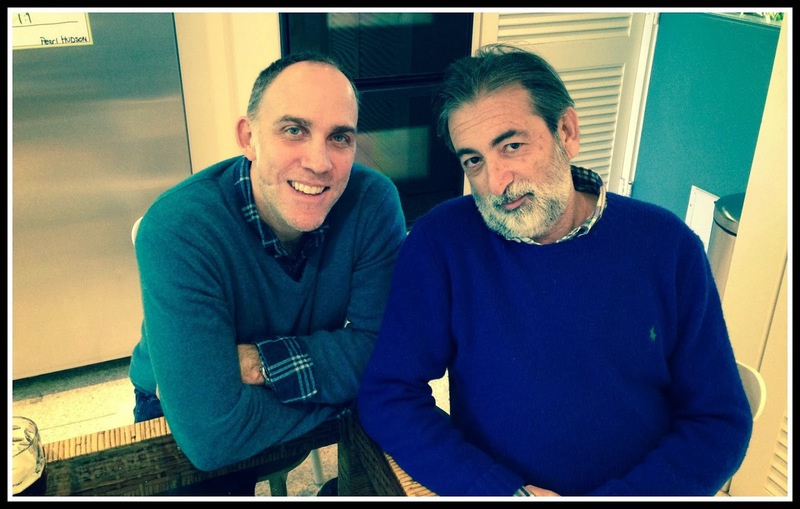 This event really put my spirits in high gear (even the dads get in the spirit) because this holiday really is about the kids, isn’t it? In case you have a little extra butter, sugar and flour and a few kids in need of a holiday project, why not make these spectacular sugar cookies? It may be just what you need to feel festive and what the kids need to ensure Santa delivers the very best presents. Buen provecho and Merry Everything! In a big bowl, sift together the flour, baking powder and salt. Place butter in a large bowl and beat with electric mixer or in a standing mixer and then slowly add the sugar and continue beating until the butter and sugar become light in color. (To test, I put a dot in between my fingers. If I can't feel any sugar crystals, it's ready.) Now add the egg, milk and vanilla and beat to combine. Put the mixer on low speed and gradually add the dry mixture, and beat until the dough pulls away from the sides of the bowl. Divide the dough in half and wrap in plastic wrap and refrigerate at least two hours. Sprinkle surface for rolling out dough with powdered sugar. Roll out the dough to 1/4-inch thick. Move the dough around frequently to make sure it does not stick. Using cookie cutters, cut the dough into desired shapes and place on a greased or parchment paper lined cookie sheet. Now the fun part begins. Pour the colored sugar crystals into separate bowls. Using your fingers grab a pinch of sugar and sprinkle decoratively over the cookies. Repeat until all of the cookies are decorated. Place the cookie sheet in the oven and bake for 10-12 minutes, or just until the edges are turning brown. Be sure and rotate the cookie sheet halfway through the baking time. When they are ready, remove the cookie sheet from the oven and let cookies sit on the baking sheet for a few minutes. Using a spatula, remove the cookies from the pan and place on a cookie rack to cool. Keep cookies in a cookie tin. 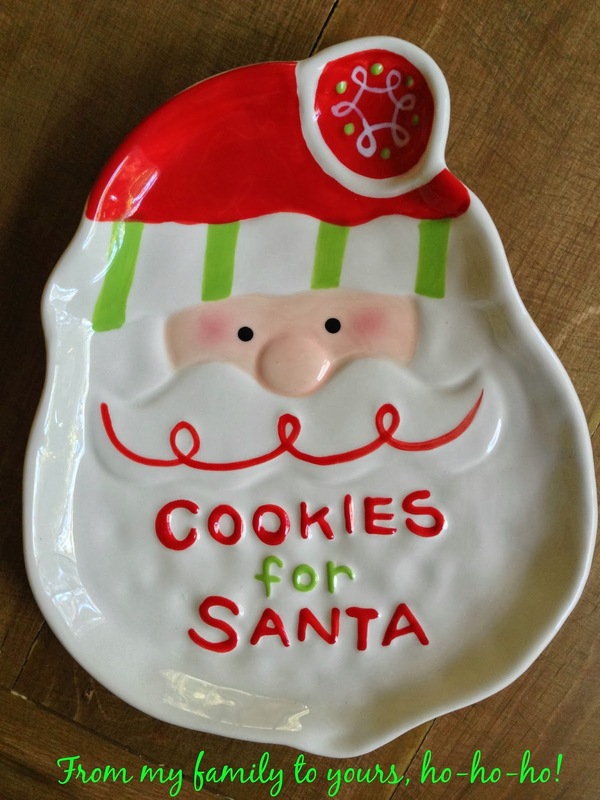 On Christmas Eve, place several cookies on a plate and leave for Santa.